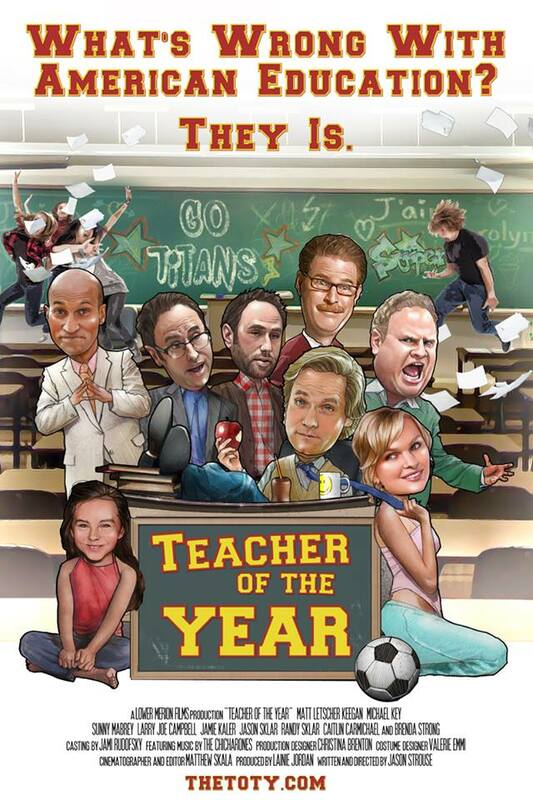 Teacher of the Year is a film made in a faux-documentary style, focusing on the faculty of Truman High School. 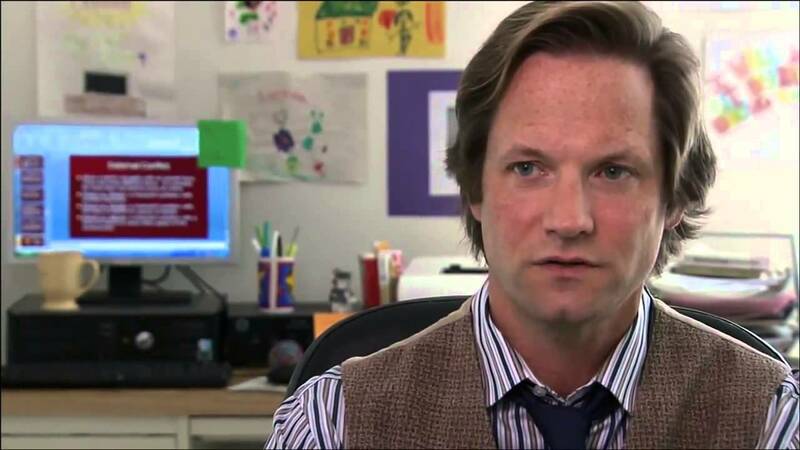 The main subject of this film is Mitch Carter (Matt Letscher), a good man who has just won the California Teacher of the Year award and has been given a tempting job offer that would involve relocating him and his family. As the film does surround a particular high school, plenty of time is given to bring in the other faculty members as well, which includes Keegan-Michael Key as Principal Ronald Douche (pronounced Dow-Shay). This ‘documentary’ provides a look at the various faculty members, but understandably keeps its focus on what decision the Teacher of the Year is going to end up making. It will come based on what his instincts tell him versus what makes the most sense in the eyes of his family and for the sake of his future. It should be noted that Teacher of the Year is, at its core, a comedy. It is a very funny movie, with many stand-up comedians playing the roles of teachers. Larry Joe Campbell, Jamie Kaler, and Jason and Randy Sklar all step in to play very entertaining members of the faculty, along with a number of other actors, who all seem to have a handle on how to play up the various eccentric qualities that are bizarre, yet all too familiar. I found myself laughing quite a bit, often at some of the more subtle bits of humor that reflect the kind of atmosphere that one finds in a high school. The movie does not rely on big gag moments to get its point across, but it does have a handle on what works, without going too far over the top. This is what writer/director Jason Strouse (a former teacher) needs in order to make a film like this work, without having it feel like too much of a parody. Strouse also adds a whole other aspect to Teacher of the Year, which really pushed it into a greater realm for me, and that was his ability to create some dramatic and heartfelt beats for the film. While Teacher of the Year has some humorous qualities, it really does work as a character-based film that reaches points that have you really caring for the outcome of certain events. Whether or not Mitch takes the new job is an obvious big part of the story, but a small sub-plot involves how things may work out for another faculty member and the way the film balances the comedy with the serious nature of that storyline. It is just one of many ways that this movie was able to work so well for me. With a strong ensemble cast, a look at a high school that features many extras as students to provide for a grounded setting amidst the nature of actors and comedians playing teachers, and some solid writing on display, Teacher of the Year really delivered for me. It uses the documentary style in an effective manner that kept the character beats consistent with the laughs and felt like a true winner. Previous ArticleTV Review: Agents of S.H.I.E.L.D. Finale 2x21 - 22 "S.O.S."